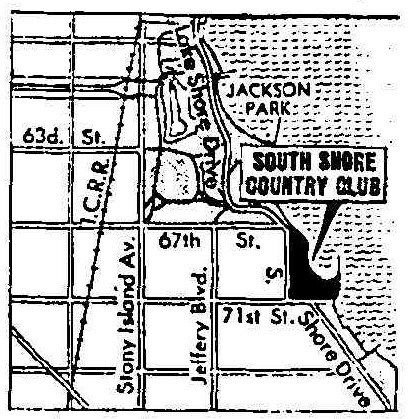 "The South Shore Country Club never did go bankrupt. The equity members wanted out, the club was not exclusive anymore. It was a question of self interest and economics." "In the early 70's South Shore Country Club went on the market. The intent of the Country Club was to sale it to the buyer who was going to pay the most money. When it went on the market, it was obvious that it should be a park. Residents in the community and other organizations had to convince the Chicago Park District to purchase the property." The Public Building Commission of Chicago exercised their eminent domain rights to acquire the South Shore Country Club on behalf of the Chicago Park District.